Stay updated! Follow us on twitter, facebook, diaspora and the news section on this website. The Alter native Finance Festival (AFF) is a grassroots festival throughout the Netherlands which celebrates the financial alternatives that already exist and everyone who is working on financial change, from citizen co-ops to ethical banking, from local currencies to unconditional giving. On 15 September 2018 it has been 10 years (!) since the fall of the US bank Lehman Brothers. It was the start of the financial crisis and it cost governments billions trying to save the banks. Since several measures have been taken, but the financial sector has not fundamentally changed and we are happily moving on to a next crisis. On 14, 15 and 16 September therefore, the Alternative Finance Festival takes place to show that not only things must and can be different, but that there are already many alternatives that are paving the way! Would you like to organise an event as part of the festival? Fantastic! Check the information below and go to Organise an event for tips and to put your event on the map. 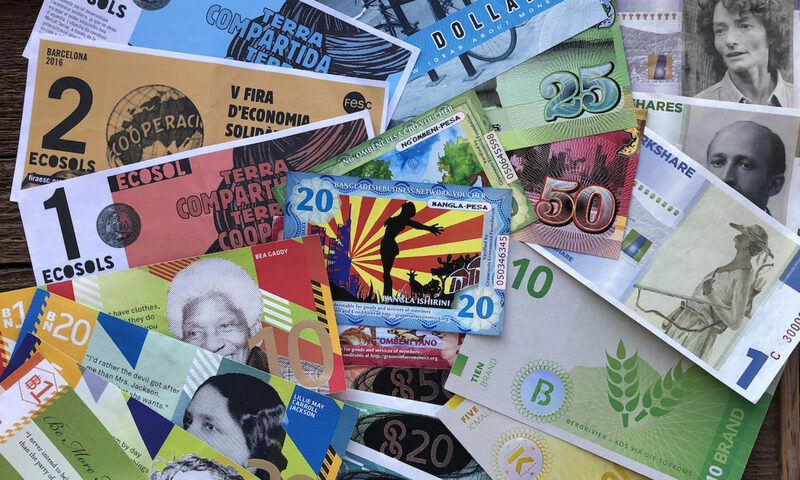 During the Festival there are events throughout different countries and places that show how servient, just, and socially and ecologically sustainable (alternatives for) our financial sectors can look like. The Alternative Finance Festival invites everyone to organise a festive activity around September 15th: individuals, co-ops, artists, and organisations that in any way are involved with (financial) alternatives. What kind of events are organised is completely up to those organising it! Check the map for all events that are already signed up. The AFF is a three-day festival that takes place on 14, 15 and 15 September 2018. We invite you to organise (or visit) an event one of these days. Next to this, we are organising an event centrally in Utrecht on September 16th. More information about this can be found on the programme page. During the central event on September 16th, six themes will be woven through the day in relation to the financial system: inequality, tax, environment, money creation, meaningful work, lobby/democracy. There is no one single organiser of the festival: we do it together! Because in our view new economy is more geared to local circumstances, needs and dreams, this is not a centrally organised festival, but everyone is encouraged to organise local activities with their own character. It’s a grassroots festival! Grassroots is a term used for processes that are developed at the base. This often means that citizens instead of policy makers develop initiatives and make decisions. Activism originating from communities is also included in the term grassroots. The Alternative Finance Festival welcomes everyone who wants to participate in events and/or wants to organise one. Wherever you live, whatever you do in your daily life, how much or little you know about (alternatives for) the financial world. This Festival is (y)ours! Wherever you live or work, in your own village, town, city, neigbourhood, community and what not! There is no ticket sales, profit motive or festival regulations, because grassroots means that we do not organise top-down, but let grow what wants to grow. Local organisations are responsible for the events they organise. And you can join an event near you. Whether it is an informative picnic, a market with participants of your local currency, a petition to be handed over, a societal poetry recital, or a starting meeting of your initiative, together we make it a party! See the map for all events and if you want tips on how to organise your own event see Organise an event. Why the Alternative Finance Festival? 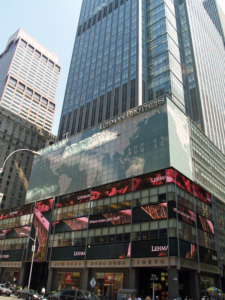 On 15 September 2018 it is 10 years ago that the US bank Lehman Brothers collapsed. It was the start of the financial crisis, the stock exchanges crashed. The rescueing efforts cost governments and tax payers billions. Now it is 10 years later. The financial sector essentially has not changed and we are happily moving on to a next crisis. Because of increased globalisation, deregulation and lack of transparency, the power of the financial sector has only increased. Did you know that right now the financial economy is three times as big as the real economy? Only 15% of money that circulates in the financial sector is used in the real economy. The other 85% goes into speculation, making money with money. This money searches the world like a predator hunting for return. Consequently, more and more parts of our daily life, like mortgages, insurances, school buildings, even public facilities like energy and clean drinking water, have become treadeable financial products, which are speculated with on financial markets. This does not benefit society, but just a small elite. While the financial sector is traditionally seen as lubricating oil for the real economy, it now grows at the cost of the rest of the world. This has to change, and this can change! We want a financial system that is servient to society. A financial system that supports people and companies that want to invest in valuable things in society, like healthcare, education, and eradicating poverty and climate change. In short, a new financial system that is just, servient, and socially and ecologically sustainable. This is why we use 15 September 2018 to kickstart a new moment for change! The Alternative Finance Festival is part of many actions and initiatives that are organised by the Change Finance coalition of European NGOs and networks in Europe around September 15th. We use this date to ask attention for the fact that the crisis started with a big bang already 10 years ago, with the fall of Lehman Brothers, and that no fundamental change has taken place since. Together we show that and how change is needed and possible. In July a website will be launched with more information about this 10YearsOn campaign from the Change Finance coalition.